Equestrian Properties - Hoisington Realty, Inc. Listing Agent: Kathleen Hoisington. Just reduced to $259,000! This is something that I truly, truly blatte with. I have often asked myself the same question about about babying vs support. I'm trying to find ways to remind him to do stuff without physically telling him. It is incredibly frustrating to repeat yourself all the time about basic stuff and I fear for my son as an adult. Who is going to do all the reminding etc. when I am not around. It is one of the reasons I don't allow him to sleep out and also why I only allow play dates at my house. I only allow him to sleep out with people who know and understand his condition because I cannot face the fact that people will judge him.Thank you so much for this excellent piece.x.-= Juliab4s last blog .. =-. 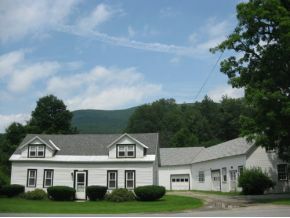 963 Town Line Road, Shaftsbury. For those seeking privacy and unspoiled pleasure, there is no stone left unturned in this warm, tasteful and efficient Colonial on 9.5 acres, featuring a well designed floor plan offering gourmet kitchen with granite & stainless, double convection oven, wine refrigerator, walk in pantry and dining area with gas fireplace; open dining room, living room with fireplace and elegant private study with hardwood floors throughout. Five large bedrooms including a 3rd floor master suite with jacuzzi tub and steam shower. Partially finished basement with surround sound and large bright 2nd floor studio with skylights round out this outstanding home. For the horse lover, property features 32'x36' horse barn with center stamped concrete aisle, heated tack room, fenced in pastures, and more! For virtual tour and more, click here. Listing Agent: Suzy Yucht. Just reduced to $749,000! 135 Tubs Road, Pownal. Turn-key equine property. Build your home here for a total horse heaven package! 100 ft x 120 ft indoor riding arena with rubber footing, 42 ft x 80 ft equipment barn and round pen. 12 stall horse barn with heated tack room and office, automatic water feeders in all stalls, heated bathroom with stall shower and laundry, wash stall area, removable partitions for stall expansion, 11 ft 6 inch wide center aisle. Double stall doors allow paddock access 24/7. 39.8 acres with dramatic mountain views, a full eventing course with water jump, three permanent turn-out sheds plus two portable shelters. Excellent outdoor arena. Seven paddocks each with automatic water feeder. Waste outlet hook-up for RV trailers. Click here for additional details! Listing Agent: Kathleen Hoisington. Just reduced from $495,000 to $485,000. I love this, Dinah. Such a light and playful voice not an easy thing to stuasin with this subject matter. And that's what makes it work. The last as if catches me by surprise, opening out into infinity even while the sentence denies it. Your essay reminds me a bit of Elizabeth Bishop's One Art in its turns and indirections, its asides, and final, resounding immensity. Fabulous! Thanks. 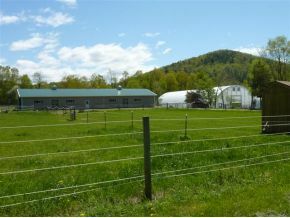 4481 Route 7A, Arlington - The Hamlets of Vermont: Offers 6+ acres of open meadowland with Battenkill River frontage. This historic property offers many possibilities... Ideally suited for someone with a home occupation. Live in the renovated cottage farmhouse and work from the detached studio and barn. Outbuilding has hay loft for storage, horse stables with tack room, 1-car garage and a modern studio with convenient access to Rte 7A. Enjoy the mountain views and a private pathway to the Battenkill River, complete with your very own swimming hole, great for tubing, kayaking and fishing! This unique opportunity for your own Gentlemans Farm is located walking distance from Downtown Arlington and only 10 minutes from Manchester Village. Whatever you chose you cant beat this location for its versatility as well as the ability to enjoy the beautiful Battenkill River right from your own home! Click here to learn more! Listing Agent: Jenifer Prouty. Just reduced from $375,000 to $359,500!